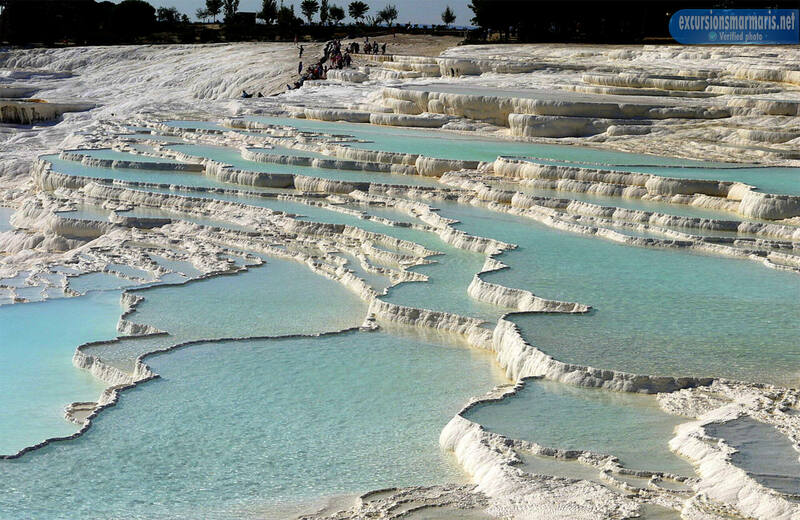 They say that Marmaris is a perfect place for your holidays as Marmaris can offer you a huge variety of things to do and to see, but if you want to escape for some days from this touristic megapolis, you can set off just for two days and spend these days in the excursion in Ephesus and Pamukkale. 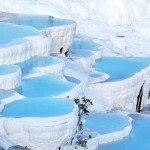 Ephesus and Pamukkale are considerd to be Turkish wondres. The only thing is that it takes a lot of time to get their by bus, as the distance is about 600 kilometres. 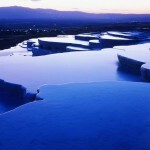 But we have a very special offer for you, we suggest chosing our two days tour by very comfortable means of transport. 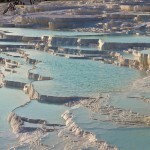 This Ephesus and Pamukkale Excursion gives an opportunity to find out a lot about cultural life of Turkey. When you get to Ephesus, the first thing you notice that this place is a real treasure-house. There are a lot of relics of the past that can’t be found even in the best world museums. There are a lot of monuments, sculptures, remains of ancient buildings and etc. 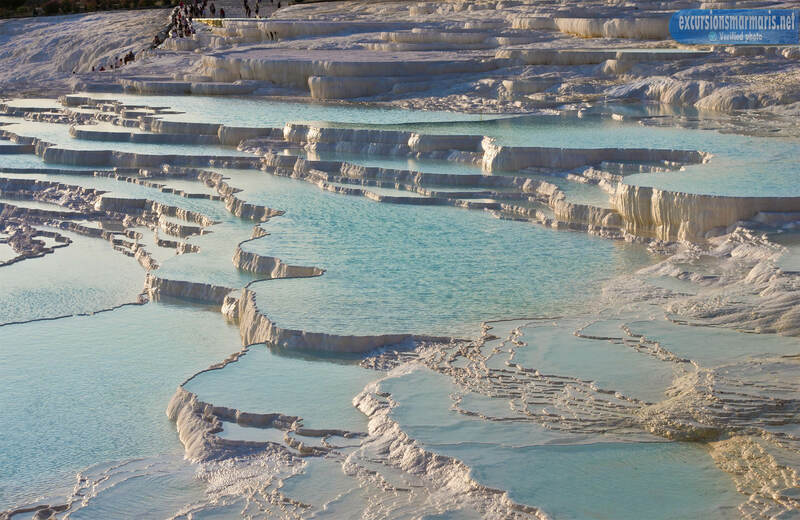 Pamukkale isn’t inferior to Ephesus in its wonders. 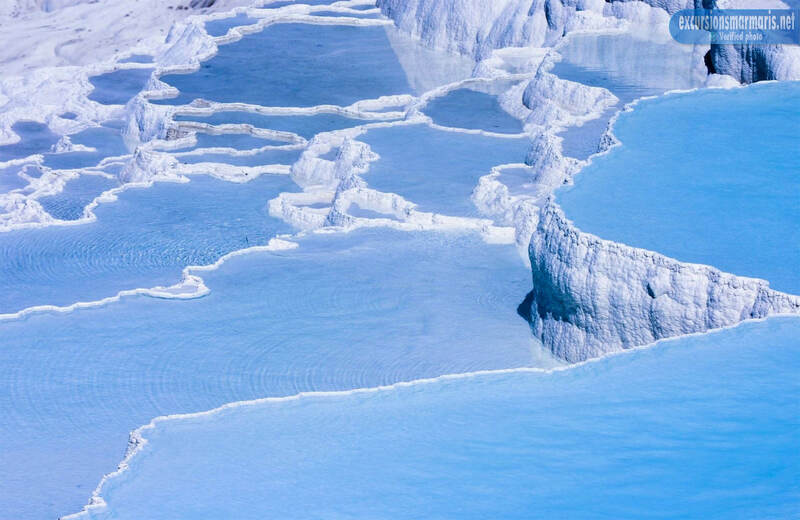 There are amazing white cliffs of natural origin, favourite bath of Cleopatra, remains of large ancient cemeteries and etc. 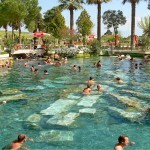 The first day of this tour we offer you to visit ancient parts of Ephesus, there you’ll be accompanied by our guide. 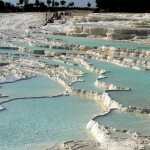 The guide will give you a lot of interesting and useful information about the ancient city of Ephesus. 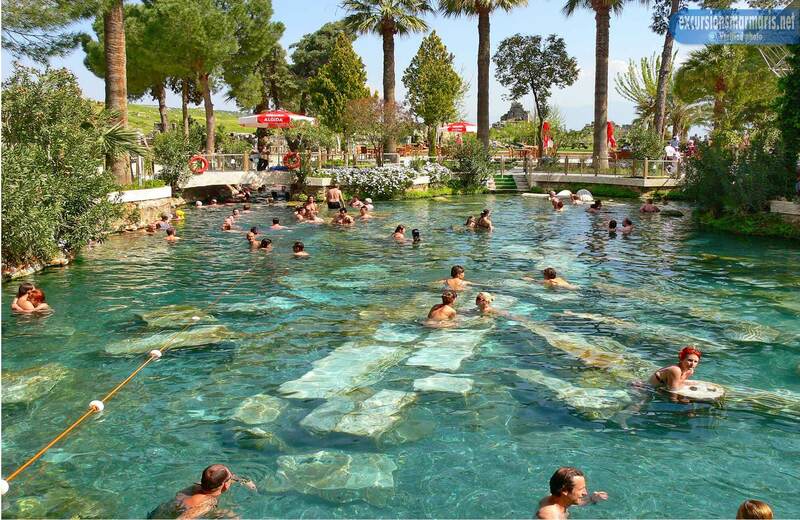 For instance, you’ll find out a lot about one of the wonders of the world – the Temple of Artemis. 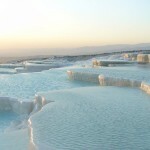 After visiting Ephesus our guests have a break and spend a night at the hotel. 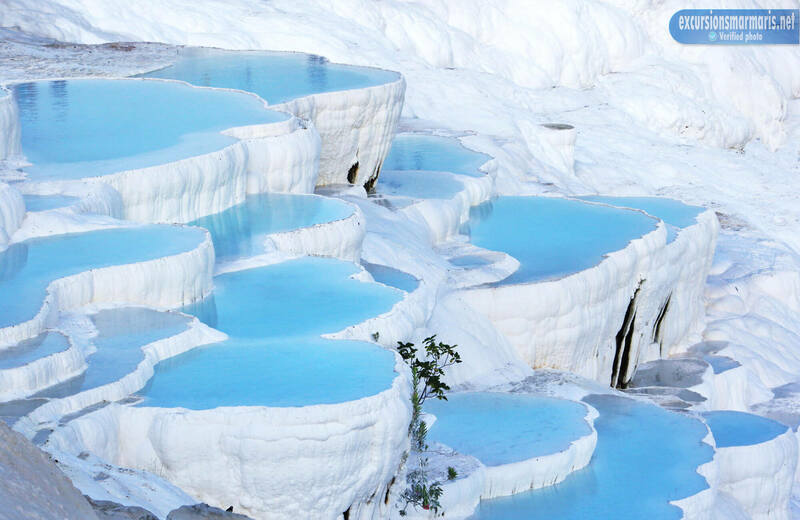 Next morning our guests are invited to visit Pamukkale that is famous for its natural cliffs of white color. 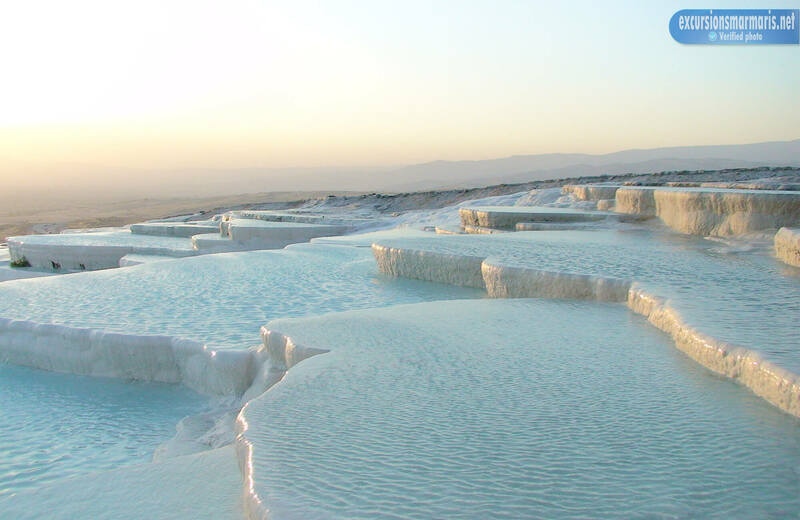 Also there are amazing hot springs that are very old. 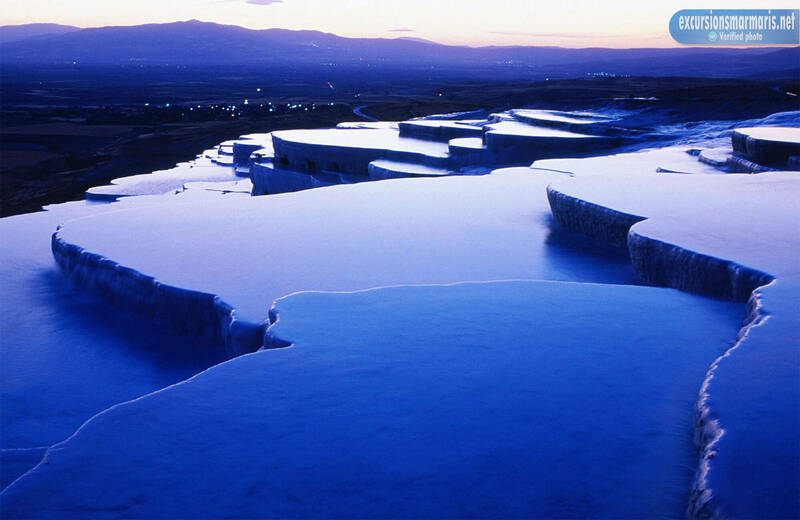 Moreover, there you’ll see ancient Cleopatra’s pool and a part of an old city. After some time there, we offer a lunch for our guests. The lunch is also included in the price of the excursion. In the evening you’ll return to busy Marmaris, but you’ll feel refreshed and very relaxed.